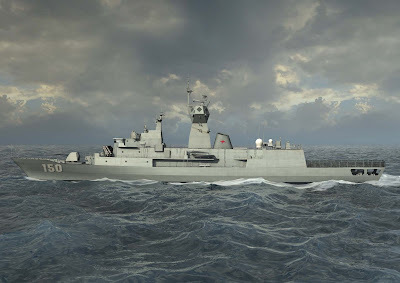 BAE Systems has begun modifying the first of the Royal Australian Navy’s ANZAC Class frigates to be upgraded under the Anti-Ship Missile Defence (ASMD) Upgrade Project. The ASMD Upgrade project is being managed by the Defence Materiel Organisation supported by BAE Systems and Saab Systems under an alliance contracting arrangement. -An upgraded Combat Management System (CMS) including an improved Operations Room layout. Jason Beer, BAE Systems Maritime Through-Life Support General Manager, said today that the platform integration of these systems required significant structural modifications. Mr Beer said that BAE Systems work during the installation phase in HMAS Perth would create more than 150 highly skilled jobs at its Henderson base in WA. BOGOR--MI: Lembaga Ilmu Pengetahuan Indonesia (LIPI) menargetkan pemasangan tiga radar pantai ISRA (Indonesian Sea Radar) di Selat Sunda pada 2011, yaitu dua di Banten dan satu di Lampung, untuk memantau lalu lintas kapal di Selat Sunda. "Radar ini akan menjadi model bagi pembangunan sistem radar di Indonesia," kata Deputi Bidang Ilmu Pengetahuan Teknik LIPI Dr Ir Syahrul Aiman di sela-sela peluncuran Beyonic di Cibinong Science Center, Kabupaten Bogor, Sabtu (30/1). Ketiga radar tersebut akan bekerja dalam satu sistem, dan saat ini sudah satu radar terpasang di Anyer, Banten. Radar pantai ini, lanjut dia, 100 persen dibuat dengan teknologi dalam negeri sehingga bisa leluasa diotak-atik ataupun diperbanyak untuk kepentingan nasional. "Target kita sebenarnya adalah memiliki radar yang dibuat dengan teknologi dalam negeri sehingga pihak asing tidak bisa menghambat, di samping harganya juga bersaing," katanya. Syahrul memperkirakan, dengan daya jangkau 100 kilometer, dibutuhkan setidaknya 800 radar untuk mengawasi pantai Indonesia yang panjangnya mencapai 80.000 kilometer. Harga satu unit radar pantai ini di tingkat penelitian mencapai Rp2,5 miliar dan jika sudah di tingkat produksi harganya bisa lebih rendah. Daya jangkau radar mencapai 30 kilometer. Sementara harga radar pengawas pantai dengan teknologi impor (teknologi FM-CW) mencapai Rp8 miliar per unit. 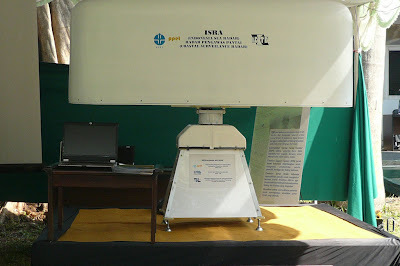 Proyek pembuatan radar ISRA dilakukan pada tahun 2006 hingga 2009. Ia mengatakan, pengembangan radar pengawas pantai ini diharapkan menjadi solusi bagi masalah penyelundupan, pencurian ikan dan pelanggaran wilayah yang dihadapi Indonesia. "Indonesia membutuhkan peralatan, kapal maupun sumberdaya manusia yang sangat banyak untuk mengawasi seluruh wilayah pantainya yang luas. Radar merupakan solusi yang relatif murah dan strategis," katanya. Ia menjelaskan, saat ini sudah dioperasikan beberapa radar namun belum terintegrasi sebagai sistem atau jaringan. Di samping itu, setiap produk impor dengan vendor yang berbeda memiliki sistem yang berbeda pula, katanya. 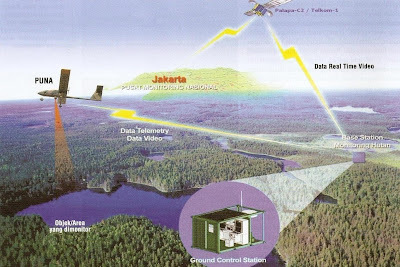 Rencana program radar LIPI adalah mengembangkan varian ISRA berupa radar pelabuhan untuk pengaturan lalu lintas laut dan radar pantai untuk pemantauan lalu lintas laut serta pengamanan garis pantai dan perbatasan, kata Syahrul. WASHINGTON — The Obama administration has approved an arms sales package to Taiwan worth more than $6 billion, a move that has enraged China and may complicate President Obama’s effort to enlist Beijing’s cooperation on Iran. The administration deferred a decision on selling F-16 fighter planes to Taiwan, administration officials said, but they pointedly added that they were not shutting the door to future F-16 sales. The last time the United States sold F-16s to Taiwan was in 1992 under President George H. W. Bush. In response, China threatened to withdraw from international arms control talks and retaliated, many China experts contend, by selling medium-range missiles to Pakistan. The arms package announced Friday is primarily defensive, and includes 114 Patriot missiles worth $2.82 billion, 60 Black Hawk helicopters worth $3.1 billion and communications equipment for Taiwan’s F-16 fleet. The package also includes Harpoon missiles and mine-hunting ships, the Defense Cooperation Security Agency said in a statement. The Chinese reaction was swift, and negative. China’s vice foreign minister, He Yafei, issued a diplomatic message to the State Department expressing his “indignation” over the pending sale, said Wang Baoding, the spokesman at the Chinese Embassy in Washington. China experts said that Beijing was likely to cut off military-to-military cooperation with the United States in retaliation, and that President Hu Jintao might boycott Mr. Obama’s planned nuclear security summit meeting in April. The relationship between the two countries may deteriorate more if Mr. Obama meets, as he is expected to, with the Tibetan spiritual leader, the Dalai Lama. Mr. Obama put off meeting with the Dalai Lama last year to avoid angering Beijing before his visit to China in November, a decision that received strong criticism from human rights activists. Gen. James L. Jones, the national security adviser, said Friday that the announcement should not “come as a surprise to our Chinese friends,” adding that the Obama administration was “bent on a new relationship with China that goes beyond arms sales to Taiwan.” Speaking at the Center for Strategic and International Studies, General Jones sought to play down the escalating tensions between the United States and China. Those tensions have been on full display since Mr. Obama traveled to Beijing in November. While Mr. Obama and Mr. Hu promised to conduct regular exchanges and to work together on a number of issues, they did not reach an agreement on how to move forward on Western efforts to rein in Iran’s nuclear ambitions. Obama administration officials now say that they view China, not Russia, as the main stumbling block on efforts to get a Security Council resolution that would impose additional sanctions on Iran. A month after Mr. Obama went to Beijing, China blocked his efforts to reach a meaningful climate change agreement in Copenhagen. China announced this month that it had tested the country’s first land-based missile defense system, a test that Chinese and Western analysts said was timed to convey Beijing’s annoyance over the expected American arms sales to Taiwan. Throughout January, Chinese state news media have produced a torrent of articles condemning the expected sale. China views Taiwan as a breakaway province, separated since the civil war of the 1940s, and sees arms sales as interference in an internal matter. The American relationship with Taiwan is one of the most delicate diplomatic issues between Beijing and Washington. The deal announced Friday is the second big arms sale to Taiwan in two years. When the Pentagon announced in October 2008, under the Bush administration, that it was selling Taiwan $6.6 billion worth of weapons, China froze military ties with the United States and did not resume the contacts until after Secretary of State Hillary Rodham Clinton visited Beijing last February. Defense Secretary Robert M. Gates and Adm. Michael Mullen, the chairman of the Joint Chiefs of Staff, are both expected to travel to Beijing this year for high-level talks. Administration officials said Friday that they hoped China did not retract those two invitations. 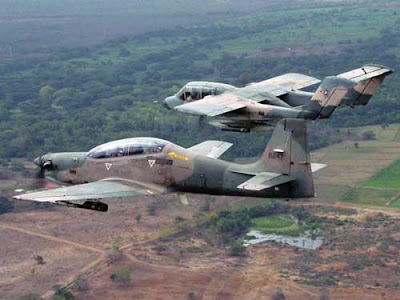 Indonesia is buying sixteen EMB-314 Super Tucano aircraft, to replace twelve 1960s era OV-10s. The two seat, 5.2 ton, single engine turbo prop Super Tucano will be used for COIN (Counter Insurgency) operations. It can fly low and slow, yet still has a 1,000 combat kilometer radius, five hour endurance, 600 kilometers per hour top speed, and a 35,000 foot ceiling. The Super Tucano armament consists of twin 12.7mm (.50 caliber) machine guns and nearly two tons of guided bombs and rockets. Counter Measure equipment is available for defense against missiles. The OV-10, at least in its prime, is a hard act to follow. The OV-10 is a 6.5 ton, twin prop aircraft that could carry over two tons of weapons and stay in the air for three hours per sortie. The first one was delivered to the U.S. Air Force, for use in Vietnam, in 1968. The last one was produced (for export to Indonesia) in 1976. The U.S. Air Force and Marines were the primary users of OV-10s, and the last of these was retired, by the marines, in 1994. Over a hundred were exported to Germany, Thailand, Colombia, Venezuela and Indonesia. Several dozen of these are still in use out of over 300 manufactured. In Vietnam, the OV-10 was used more for reconnaissance and directing air and artillery strikes, than in using its own firepower. But that's what irregular warfare was all about, finding an elusive enemy, and killing him. That's what the OV-10 was designed to do, and did it well. Jakarta (ANTARA News) - Kementerian Riset dan Teknologi (KRT) masih menyelidiki penyebab kegagalan terbang Roket Kendali Nasional (RKN) 200 double stage yang sempat mencelakai dua warga pada peluncurannya, Rabu lalu (27/1), terkait kinerja Fin, sistem separasi dan kinerja sustainer. "Penyebab kegagalan terbang masih diselidiki, di antaranya terkait kinerja Fin (semacam sayap roket), sistem separasi dan kinerja sustainer," kata Menristek Suharna Surapranata kepada wartawan di Jakarta, Jumat. Faktor tersebut cukup dimungkinkan selain faktor kecepatan angin yang tidak menentu, ujarnya yang saat itu didampingi Deputi Bidang Program Riptek, KRT, Teguh Raharjo, Deputi Teknologi Dirgantara LAPAN Soewarto Hardhienata, Direktur Teknologi dan Pengembangan Rekayasa PT Dirgantara Indonesia Andi Alisjahbana, dan Dirut PT Pindad Didik Avianto. Suharna menyatakan pihaknya merasa prihatin atas musibah cideranya dua penduduk Dusun Rekesan, Desa Pandanwangi, Lumajang dan memohon maaf serta berjanji membantu meringankan beban korban selama di rumah sakit maupun setelah kembali. "Musibah ini akan menjadi pelajaran sangat berharga bagi tim pengembang teknologi kedirgantaraan," ujarnya sambil meminta peristiwa nahas ini tidak menyurutkan semangat para pengembang roket untuk terus melakukan riset. Dikatakan Menteri, pihaknya sudah meminta masyarakat agar keluar dari lokasi peluncuran yang luasnya sekitar 80 ribu hektare dengan panjang 13km dan lebar 1km, sejak sehari sebelumnya. "Tapi rupanya kami tidak tahu kalau ternyata masih ada petani penggarap berada di sana, di salah satu saung, bukan rumah tinggal, berhubung daerah tersebut subur dan kabarnya ada yang sakit, sehingga terlewatkan untuk diungsikan," katanya. Suharna mengatakan, pada 27 Januari itu, untuk kedua kalinya lokasi milik TNI AU di Lumajang itu digunakan untuk uji terbang dari roket tipe RX 1210 single stage dan RX 1213/1210 double stage serta RKN 200. Rencana awal akan dilakukan pengujian 14 roket, tetapi hanya 10 roket yang sempat diterbangkan, sembilan di antaranya berhasil terbang dengan performa sangat baik, namun untuk RKN 200 double stage kinerja terbang tak seperti diharapkan, sehingga selongsong roket jatuh menimpa rumah singgah (saung) penduduk. Program perintah komputer yang disertakan pada roket nyasar dan mencederai dua korban saat uji coba di Lapangan Tembak Abdul Rachman Saleh TNI AU di Kecamatan Tempeh, Kabupaten Lumajang, Rabu (27/1) lalu, dianalisis. "Ada kemungkinan program perintah komputer itu tidak menyambung," kata Deputi Teknologi Dirgantara Lembaga Penerbangan dan Antariksa Nasional (Lapan) Soewarto, Jumat (29/1) malam, seusai penyampaian kronologis peristiwa kepada Menteri Riset dan Teknologi Suharna Surapranata di Jakarta. Roket nyasar itu satu-satunya roket berpengendali, yaitu hasil program Roket Kendali Nasional (RKN) dengan muatan sensor aquator untuk sensor olah gerak, GPS (Global Positioning System), dan kamera. Indonesia merupakan negara kepulauan yang sangat luas. Tapi wilayah yang luas itu ternyata memiliki resiko tersendiri dari segi pengamanan wilayahnya. Karena sangat luas, berarti TNI harus mengeluarkan biaya yang besar dan juga sumber daya yang banyak untuk tetap menjaga keamanan wilayah kesatuan Negara Republik Indonesia. Dari latar belakang pengawasan keamanan tersebut, para ahli di BPPT membuat sebuah pesawat tanpa awak yang bertujuan sebagai pendukung pertahanan keamanan nasional dan pengintai teroris. Hal ini mempermudah kerja TNI dan sekaligus menghemat biaya pengawasan terhadap wilayah-wilayah Indonesia. Ir. Djoko Purwono Soehardi, M.Eng, Direktur Pusat Teknologi Industri Pertahanan dan Keamanan BPP, menyampaikan Pesawat Udara Nir Awak (PUNA) merupakan sebuah wahana terbang yang dikendalikan dari jarak jauh untuk melakukan misi tertentu. Dengan pengendalian dari jarak jauh, maka pesawat ini mampu mengerjakan berbagai misi tanpa terhambat oleh keterbatasan manusia, antara lain, pengoperasian pada daerah yang berbahaya bagi manusia, pengoperasian dalam jangka waktu yang sangat lama, dan pengoperasian pada kondisi terbang yang lebih murah dan minim resiko terhadap ancaman keselamatan awak. Pengoperasian pada daerah yang berbahaya bagi manusia dapat meliputi garis depan pertempuran, daerah yang terkena bencana alam (misal. gunung berapi yang tengah aktif), daerah kebakaran hutan, daerah yang terkena kebocoran radiasi nuklir atau bahan kimia beracun, dan lain-lain. Jadi PUNA buatan BPPT ini merupakan pesawat pengintai dari udara yang dilengkapi kamera digital mini untuk memotret kejadian di lapangan (darat dan laut). Menurut Djoko, seiring dengan pentingnya peran PUNA bagi Indonesia, maka BPPT berupaya mendorong kemandirian bangsa di bidang teknologi PUNA dengan melakukan rancang bangun PUNA. BPPT telah menghasilkan prototipe PUNA jenis Wulung, Gagak dan Pelatuk, dengan berat masing-masing 120 kg dan jangkauan ketinggian s.d 120 km. 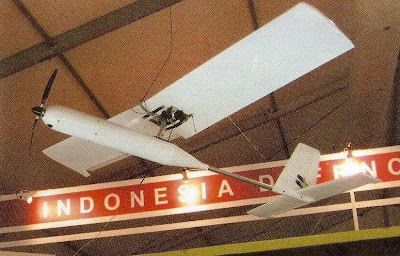 Prototipe jenis pertama dengan designasi BPPT-01A “Wulung” merupakan PUNA dengan konfigurasi Hi Rectangular-Wing, Low Boom T-Tail. Prototipe jenis kedua dengan designasi BPPT-01B “Gagak” merupakan PUNA dengan konfigurasi Lo Rectangular-Wing, Low Boom V-Tail. Prototipe jenis ketiga dengan designasi BPPT-02A “Wulung” merupakan PUNA dengan konfigurasi Hi Rectangular-Wing, Hi Boom Inverted V-Tail. Kegiatan Rancang Bangun PUNA ini, ungkap Djoko masih dilanjutkan dengan pengembangan PUNA tipe Sriti (6,5kg) jangkauan 10km, untuk kebutuhan taktis pasukan atau jenis short range, konfigurasi Flying Wing atau Tailless Configuration. Tipe berikutnya Alap-alap dengan berat 25kg dan jangkauan 50km, untuk operasi surveillance dan reconnaissance. Jenis ini konfigurasi Low Rectangular Wing dengan Low Boom V-Tail. Pada tahun 2010 ini akan dilakukan uji sertifikasi bagi beberapa tipe Puna baik jenis Wulung maupun Sriti. Diharapkan setelah lulus uji kelaikan, direncanakan untuk masuk dalam tahap produksi komersial. Beberapa potensi user antara lain TNI, Departemen kehutanan dan departemen kelautan. Djoko menjelaskan ada dua cara menerbangkan PUNA. Bisa dengan dikontrol oleh pilot yang sudah terlatih ada juga yang tanpa pilot, yaitu dengan katapul (bukan dengan remote control). Setelah itu pengontrolan lewat kamera yang ada di pesawat bisa dilakukan di darat. Keunggulan Puna selain untuk mengawasi kawasan wilayah Indonesia, ternyata bisa untuk membuat hujan buatan di wilayah yang sedang kekeringan. Bahkan, Puna pun bisa melihat hot spot daerah yang sedang dilanda kebakaran hutan. Pada prinsipnya PUNA seperti layaknya pesawat komersil biasa. Hanya saja ukurannya tidak sama. Kemampuan terbang dan daya tembus PUNA terhadap cuaca buruk pun sebenarnya sama saja. Pengoperasian dalam jangka waktu yang sangat lama, kata Djoko dapat meliputi patroli rutin perbatasan negara, patroli kelautan, pengamatan lalu lintas, dll. Dengan konsumsi bahan bakar yang lebih hemat dan kebutuhan landas pacu yang lebih ringkas, maka operasional PUNA menjadi lebih murah untuk kebutuhan misi-misi tertentu, seperti pemotretan udara dan pemetaan udara. Dengan Ground Control Station (GCS), maka pilot dan awak tidak berada di pesawat udara, sehingga meminimalkan resiko yang mengancam keselamatan operator PUNA. Saat ini kegiatan Rancang Bangun PUNA masih dilanjutkan dengan pengembangan PUNA tipe Sriti (6,5kg) jangkauan 10km, untuk kebutuhan taktis pasukan atau jenis short range, konfigurasi Flying Wing atau Tailless Configuration. Tipe berikutnya Alap-alap dengan berat 25kg dan jangkauan 50km, untuk operasi surveillance dan reconnaissance. Jenis ini konfigurasi Low Rectangular Wing dengan Low Boom V-Tail. Pada tahun 2010 akan dilakukan uji sertifikasi bagi beberapa tipe Puna baik jenis Wulung maupun Sriti. Diharapkan Djoko setelah lulus uji kelaikan maka direncanakan untuk masuk dalam tahap produksi komersial. Beberapa potensi user antara lain TNI, Departemen kehutanan dan departemen kelautan. Tidak menutup kemungkinan bagi BPPT bila ada swasta yang ingin ikut berpastisipasi dalam mengembangkan Puna ini. Russia's prototype fifth-generation fighter made a 45-minute maiden flight on Friday in the Far East, Russian television reported. The flight had been postponed for 24 hours due to poor weather conditions in Komsomolsk-on-Amur where the prototype is being tested. "The plane showed a superb performance. It has met all our expectations for the maiden flight," said Olga Kayukova, a spokesperson for the Sukhoi aircraft manufacturer. Russia has been developing its newest fighter since the 1990s. The country's top military officials earlier said the stealth fighter jet, with a range of up to 5,500 km, would enter service with the Air Force in 2015. Russia's fifth-generation project is Sukhoi's PAK FA and the current prototype is the T-50. It is designed to compete with the U.S. F-22 Raptor, so far the world's only fifth-generation fighter, and the F-35 Lightning II. 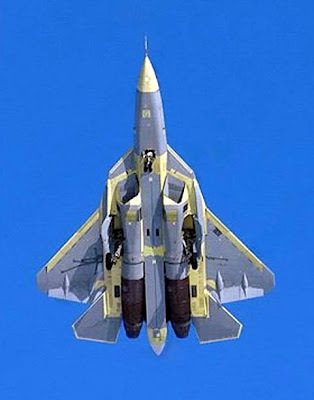 The PAK FA is to be equipped with the most advanced technology and armed with next-generation high-precision weaponry. India, which has a long history of defense relations with Moscow, remains Russia's sole partner in the project. India's Hindustan Aeronautics Ltd (HAL) was reported to be seeking a 25% share in design and development in the project. It has also sought to modify Sukhoi's single-seat prototype into the twin-seat fighter India's Air Force wants. Moscow. Today in Komsomolsk - on - Amur hosted the first flight of an experienced aviation complex of the fifth generation. The plane was piloted honored test pilot Sergei Bogdan Russia. Prototype PAK FA spent 47 minutes in the air and landed on the runway of the factory airfield. The use of composite materials and innovative technology, aerodynamic design aircraft, measures to reduce the visibility of the engine provides unprecedented low level of radar, optical and infrared visibility.This allows you to significantly improve the combat effectiveness in the work, both by air and ground targets, at any time of day, in simple and adverse weather conditions. "Today we started a program of flight tests of fifth generation fighter aircraft. This is a great success of Russia's science and engineering thought. For this achievement is worth more than a hundred co-operatives allied enterprises, our strategic partners. PAK FA program displays Russia's aircraft manufacturing and related industries on a qualitatively new technological level. These planes, along with modernized aviation system of the fourth generation will determine the potential of Russian military aircraft in the coming decades. The plans of the Company "Sukhoi" is included and further development of the Program PAK FA, on which we will work with Indian partners. I am confident that our joint project will surpass the Western counterparts by the criterion of cost-effectiveness and will not only strengthen the defensive power of the Air Force of Russia and India, but will take its place in the world market ", - said General Director of JSC" Sukhoi "Mikhail Pogosyan, Commenting on the start of flight testing. Fifth generation fighter aircraft equipped with a fundamentally new avionics, the integrating function of the e-pilot, and promising radar with a phased antenna array. This significantly reduces the load on the pilot and allows you to concentrate on the implementation of tactical tasks. On-board equipment of a new aircraft enables the exchange of data in real time as a land-management systems, and within the aviation group. The use of composite materials and innovative technology, aerodynamic design aircraft, measures to reduce the visibility of the engine provides unprecedented low level of radar, optical and infrared visibility. This allows you to significantly improve the combat effectiveness in the work, both by air and ground targets, at any time of day, in simple and adverse weather conditions. Low visibility, aircraft performance and maneuverability allow to minimize the threat to the pilot, at the expense of the fifth generation fighter aircraft have increased survivability in difficult combat conditions, with the active counter air defense systems. Increased radius of combat use leads to greater autonomy of the fifth generation fighter aircraft in the implementation of the planned combat missions. Program to create long-term aviation system of the fifth generation is a technological breakthrough in the domestic aircraft industry, which allows to maintain a stable leading position of Russia on the international market of combat aircraft. In the world aviation there is a unique analogue of fifth generation fighter aircraft - is the F-35, a product of Lockheed Martin. Jakarta - Kepala Staf Angkatan Laut (Kasal) Laksamana Madya TNI Agus Suhartono mengemukakan, pihaknya akan mengoptimalkan penggunaan radar intai maritim hibah dari Pemerintah Amerika Serikat, untuk memaksimalkan pengamanan wilayah laut nasional. "Bahkan kami mengimbau agar penggunaan radar hibah dari pemerintah AS itu dapat pula dimanfaatkan oleh instansi lain yang terkait dengan pengelolaan dan pengamanan wilayah laut," katanya, usai membuka Rapat Pimpinan TNI Angkatan Laut 2010 di Jakarta, rabu. 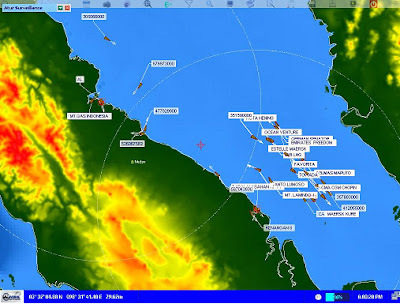 Pemerintah AS telah memberikan hibah sejumlah radar intai yang terintegrasi dalam sistem pengintaian maritim terintegrasi (Integrated Maritime Surveillance System/IMSS), yakni di sepanjang wilayah RI di Selat Malaka (ALKI I) dan di Selat Makassar (ALKI II). Untuk di wilayah RI di sepanjang Selat Malaka, Pemerintah AS menghibahkan delapan radar dan kini telah terintegrasi dengan empat radar RI dan telah beroperasi dengan baik sedangkan di Selat Makassar, AS menghibahkan delapan radar, kata Agus. "Dari delapan yang akan dibangun di Selat Makassar, kini telah terbangun empat unit," ungkapnya, menambahkan. Kasal mengemukakan, sistem IMSS memiliki kemampuan sangat besar, sehingga tidak dapat digunakan oleh instansi lain yang berkaitan dengan keamanan laut, misalnuya Dirjen Perhubungan Laut yang dapat memanfaatkan radar itu untuk mendukung keselamatan pelayaran. Pemerintah AS berkomitmen untuk membantu peningkatan daya mampu (capacity building) Indonesia dalam mengamankan wilayah perairannya, salah satunya dengan memberikan bantuan radar intai (surveillence radar), dan berfungsi untuk pencegahan aksi teror di laut. 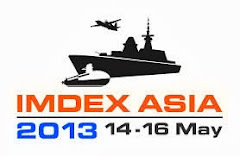 Hal itu, lanjut dia, sesuai dengan komitmen bersama ASEAN tentang pertahanan dan keamanan maritim bagi kawasan ASEAN," ujarnya. Di kawasan Asia Pasifik termasuk ASEAN dan Indonesia, jaminan keamanan "Sea Lines Of Communication" (SLOC) atau Garis-garis Perhubungan Laut (GPL), merupakan hal pokok bagi para pengguna laut di dua kawasan yang menjadi fokus perhatian dunia tersebut. Terkait hal itu, Indonesia dituntut untuk dapat memberikan jaminan keamanan di Selat Malaka, Selat Singapura, Selat Philip, perairan Natuna dan jalur-jalur laut yang dikenal ALKI. Semisal Armada Pasifik AS yang akan menuju wilayah teluk/Timur Tengah, mengharapkan kemudahan untuk menggunakan ALKI timur-barat melalui Laut Sulawesi, Selat Makassar, Laut Flores, Laut Jawa, Selat Karimata, Laut Natuna, Selat Singapura dan Selat Malaka sebagai jalur pendekat. THE navy has accepted into service four Adelaide Class frigates, about five years behind schedule, ending a troubled $1.5 billion upgrade contract. Speaking at the opening of the Pacific 2010 Maritime Congress exposition in Sydney yesterday, Defence Minister John Faulkner said valuable lessons had been learned during the upgrade, but the navy was now equipped with a lethal new capability. The delays resulted from a "significant underestimation" of the complexity of the upgrade at the start of the project in the late 1990s, Senator Faulkner said. 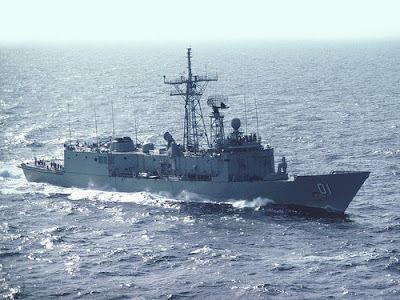 The four US-designed Oliver Hazard Perry Class frigates -- HMAS Sydney, Melbourne, Darwin and Newcastle -- were acquired in the late 1970s and early 1980s. The Defence Minister conceded that, soon after being elected, the government had doubts about the viability of the upgrade contract because it was so far behind schedule. The frigate contract was put on the government's "projects of concern" blacklist. "Changes in project scope, from six to four ships, and decisions in 2006 regarding the prime contract, resulted in an agreed new program schedule which I am pleased to publicly acknowledge, has now been achieved," Senator Faulkner said. "The upgraded FFG is a formidable capability. "We have learnt valuable lessons from the FFG upgrade experience and more importantly we are delivering a significantly improved capability with substantial opportunities for further improvement." The frigate upgrade program was the most sophisticated and complex naval systems integration project undertaken in Australia, said prime contractor Thales (Australia) managing director Chris Jenkins.. The warship makeover involved upgrades to the combat and fire control systems, air search radar, improved air defence and sonar and upgraded missile systems. Other improvements include installation of a modernised 20mm Phalanx "last ditch" close defence system and new lightweight torpedoes. It's expected that, following the upgrade, the warships will now be capable of deployment on operational duties to the Persian Gulf. On January 25 Lieutenant General Pongsak Ruhi Siri Wattana women executives group of research and development aircraft without pilots (Unmanned Aerial Vehicle) or AV UK later in the award of Outstanding Research 2009 Annual office. Research Fund (Skw.) that same day. Current Thai military to focus on the UK AV is the first. In a major military parade in the building are military must be on the UK import version of AV Searcher by Israel of 1 set to patrol check. Instead of the past required the pilots control the aircraft. In addition to the high costs already. It will also avoid the danger to pilots who may be opponent attacks also listed the benefits of AV is designed to use surveillance and inspection. Also point target and image signals in real (real time) is increased accuracy in artillery fire made no savings in the number of the cartridge. Ruhi female lieutenant Phong said that the aircraft without pilot made U AV to replace imports and loss of maintenance cost millions of baht each year. Efforts to study the possibility of creating AV UK. Own up to it occurs within the country. The initial set to meet the performance requirements of military ordnance division (Pl.p.) for reconnaissance missions to find and track targets investigator. Office of Research Fund (Skw.) and Office of Defense, military research and development (Swp.kh.) has sponsored research and development projects. Research and development of aircraft without pilots. The agencies use research scholars from 50 institutions of people knowledgeable in software and software development of the R project. As a result of the development of prototype U AV more than 5 years, researchers have created the knowledge and experience in designing and building wireless systems, aircraft pilots and not less, and has deep knowledge base necessary for wireless aircraft. pilots. Both design and build aircraft without pilots. Flight control system. Aviation communication systems. 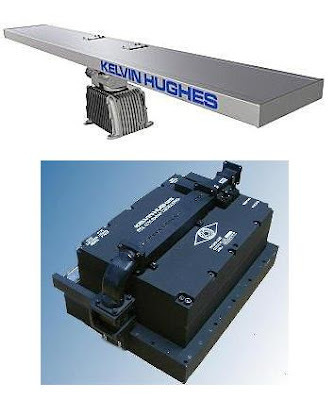 Video signal processing systems. Systems connected to the geospatial system. Design and build equipment researchers and private companies in the country. 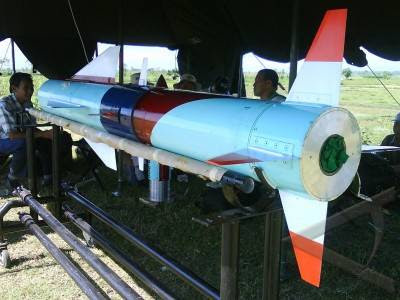 Sales can be produced as a pilot training for military artillery division of the company sold 10 aircraft and Israeli Intelligence Agency ID number 24 has been the royalties of approximately 1 million baht was also the knowledge from this research project. Help with the negotiating team of the new system that classified military save at least 650 million baht, "the executive said research projects listed AV. EADS subsidiary Australian Aerospace has promised to create 750 skilled jobs to build the NH90 NFH (Nato Frigate Helicopter) locally if it is chosen to replace the Royal Australian Navy’s fleet of S-70 Seahawks and cancelled Super Seasprites. The announcement came as an NH90 NFH started demonstration flying in Australia, with an Italian Navy example arriving on January 24 aboard an Antonov AN-124, and conducted a dipping sonar demonstration on Sydney Harbour as part of the January 26th Australia Day celebrations and demonstration flights for key delegates at the PAC10 maritime exposition and conference. The NFH 90 is up against the Sikorsky/Lockheed Martin MH-60R ‘Romeo’ in the competition under Project AIR 9000 Phase 8. First pass decision on Phase 8 is expected to be made by federal cabinet’s National Security Committee in early February, with an announcement expected soon after. 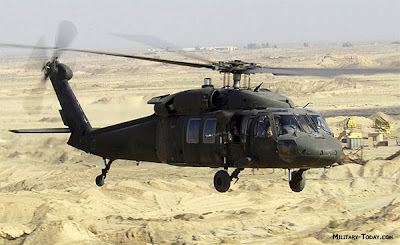 Lockheed Martin and Sikorsky officials are confident their more mature offering will carry the day, while Australian Aerospace is hoping its increased Australian industry package and more capable offering will prevail. Australian Submarine Corporation's (ASC) new $120m shipyard, which will be the construction site for Australia's biggest defence project, the $8bn Hobart Class air warfare destroyer (AWD) programme, has been officially opened at Osborne, South Australia. Royal Australian Naval Reserve chairman Vice Admiral Chris Ritchie said that the shipyard represents a significant investment in Australia's naval future. "The shipyard incorporates the latest production design features currently utilised in international naval build programmes," he said. The state-of-the-art shipyard features dedicated AWD production facilities, new office accommodation for 400 employees, a wharf support building with office space and workshops, and a significant upgrade to existing facilities. ASC's 14ha shipyard is part of Techport Australia and is located at Osborne, South Australia, adjacent to ASC's submarine maintenance facilities and the South Australian Government's common user facility. LUMAJANG — Sebanyak 12 roket buatan Lembaga Penerbangan dan Antariksa Nasional atau Lapan meluncur di lapangan TNI AU di Kecamatan Tempeh, Kabupaten Lumajang, Jawa Timur, Rabu (27/1/2010). Roket-roket tersebut meluncur satu per satu mulai pagi hingga siang hari. Peluncuran tersebut dilakukan dalam uji coba yang dilakukan Kementerian Negara Riset dan Teknologi bersama industri strategis. Hadir antara lain Menteri Negara Riset dan Teknologi Suharna Surapranata, Direktur Teknologi dan Pengembangan Rekayasa PT Dirgantara Indonesia (PT DI) Andi Alisjahbana, serta pejabat dari Lembaga Penerbangan dan Antariksa Nasional (Lapan), PT Pindad, dan TNI. Bupati Lumajang Sjahrazad Masdar hadir pula dalam kesempatan itu. Roket-roket yang diuji coba berjenis D 230 kaliber 122 mm. Semuanya berkarakter dari tanah ke tanah dan tanpa kendali. Prototipenya meliputi RX 1210 dengan jarak luncur 14 kilometer, RX 1210/121 3 dengan jarak luncur 18 km, dan RX 2020 dengan jarak luncur hasil simulasi sejauh 48 km. Uji coba ini adalah bagian dari upaya untuk meningkatkan kemampuan teknologi di bidang roket. Pemerintah bersama dengan industri strategi bersinergi dalam hal ini untuk mengembangkan roket. Pemerintah mendukung dalam dana riset, sedangkan produksinya dilakukan industri strategis. Hal itu dikatakan Suharna di sela-sela acara. Andi Alisjahbana menyatakan, tidak ada persoalan bagi kalangan industri strategis untuk memproduksi roket-roket tersebut. Pabrik yang selama ini sudah ada tinggal diperluas dan tim teknis disiapkan. "Karena prototipe roket yang dikembangkan ini adalah yang memang banyak dibutuhkan, tinggal komitmen dari pemerintah untuk memproduksinya dalam volume yang banyak," kata Andi. Kementerian Negara Riset dan Teknologi menargetkan, RX 1210 diproduksi 1.000 unit pada Juni 2010. Adapun varian lainnya masih dalam pengembangan. Teknologi roket setidaknya digunakan dalam sistem pertahanan dan satelit. 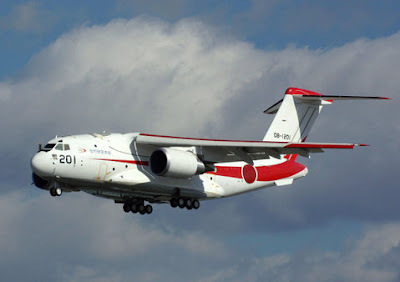 GIFU (Kyodo) A prototype of the Air Self-Defense Force's next-generation transport aircraft performed its first test flight Tuesday in Kakamigahara, Gifu Prefecture, more than two years behind schedule due to structural integrity problems. Code-named XC2, the two-engine jet is being developed by Kawasaki Heavy Industries. KHI started work on the plane in 2001 as part of a ¥340 billion government project. The project also covers costs to develop the Maritime Self-Defense Force's next-generation antisubmarine patrol plane, which shares many parts with the XC2. The plane is 44 meters long, or 15 meters longer than the current ASDF C-1 transport jet. The aircraft is expected to be used on ASDF missions overseas. The Defense Ministry had originally planned to conduct the first test flight in summer 2007. The air force is seeking cabinet approval to buy six more Gripen jet fighters and upgrade six F-16 fighters at a combined cost of more than 20 billion baht. 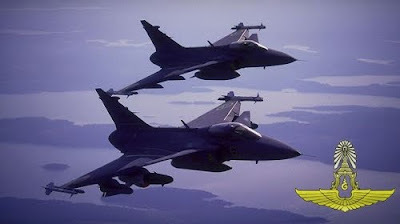 Royal Thai Air Force deputy spokesman Monthon Satchukorn yesterday said a proposal had been submitted to cabinet to buy the Gripens for about 15.4 billion baht and upgrade the F-16 fighters at a cost of about 6.9 billion baht. The air force hopes the submission will be approved by the cabinet today. Gp Capt Monthon said the RTAF wanted the cabinet to approve the two projects in principle first so it had enough time to prepare its 2011 fiscal budget, which will be considered in May. The two projects have been on hold since they were withdrawn from a cabinet meeting in May last year. Gp Capt Monthon said: "If we cannot buy the Gripen fighters under the 2011 fiscal budget, this will affect the air force's operations planning." He said the air force originally planned to upgrade 18 F-16 fighters at a cost of more than 20 billion baht. The project was revised and will now be carried out in three phases of upgrading six F-16 fighters each time at a cost of 6.9 billion baht. F-16 A/B fighters from Nakhon Sawan-based Wing 4 would be upgraded in the first phase, Gp Capt Monthon said. "The air force is badly in need of the two projects," he said. A military source said air force commander Itthaporn Subhawong met Deputy Prime Minister Suthep Thaugsuban on Friday to discuss the two projects. The source said Mr Suthep reassured ACM Itthaporn the cabinet would approve the projects in principle with the budget arranged and disbursed later. The air force had hoped to decommission its 12 US-made F-5 E/F fighters, in operation at the Surat Thani-based Wing 7 for 30 years, once it took commission of 12 new Gripen 39 C/D fighter jets. Yogyakarta, (ANTARA News) - TNI AU akan menambah alat utama sistem persenjataan (alutsista) berupa senjata dan amunisi udara senilai 90 juta dolar AS untuk sejumlah pesawat tempur seperti F-16 dan Sukhoi pada 2010. "Kami akan mendatangkan senjata dan amunisi udara besar itu dari AS dan Rusia," kata Kepala Staf Angkatan Udara (KSAU) Marsekal Madya (Marsdya) TNI Imam Sufaat di Gedung Sabang Merauke, Kompleks Akademi Angkatan Udara (AAU) Yogyakarta, Rabu. Menurut dia, usai membuka Rapat Pimpinan (Rapim) TNI AU dan Apel Komandan Satuan (Dansat) 2010, untuk pembelian amunisi dari AS dialokasikan dana sebesar 36 juta dolar AS, sedangkan dari Rusia dianggarkan 54 juta dolar AS. "Kami membeli senjata dan amunisi dari dua negara tersebut karena TNI AU saat ini memiliki pesawat tempur buatan AS dan Rusia. Langkah itu ditempuh karena senjata dan amunisi buatan negara Barat dan Timur itu berbeda spesifikasinya," katanya. Ia mengatakan, untuk penambahan senjata dan amunisi udara tersebut ada alokasi dana yang disisihkan dari anggaran 2010, dan TNI AU telah mengajukan anggaran yang dibutuhkan untuk pembelian alutsista itu kepada Menteri Pertahanan dan Markas Besar (Mabes) TNI. "Dalam rencana strategis (renstra) pembangunan TNI AU 2010-2014 telah direncanakan untuk menambah dan mengganti alutsista yang telah tua dan tidak layak pakai. Upaya itu untuk mendukung kelancaran tugas operasional TNI AU, karena saat ini alutsista yang dimiliki masih kurang," katanya. Terkait dengan jumlah personel, KSAU mengatakan, saat ini total personel TNI AU berjumlah 37.000 orang yang terdiri atas 31.000 personel militer dan 6.000 pegawai negeri sipil (PNS). Jumlah personel tersebut mencukupi untuk melaksanakan tugas TNI AU sehingga belum ada rencana menambah personel dalam waktu dekat. Menurut dia, jumlah personel akan ditambah jika alutsista bertambah, karena pengembangan organisasi diikuti oleh pengembangan orang. "Misalnya, jika ada penambahan radar, akan menambah 60 personel untuk mengoperasikannya. Jika ada skuadron tempur baru akan menambah 150 personel," katanya. PT Dirgantara Indonesia (PTDI) and Eurocopter Directors celebrated today in Bandung the beginning of Airframe assembly for EC725/EC225 Helicopters, the latest version of the “Super Puma” family. This milestone highlights the excellent project coordination and relationship between the two teams. The first fuselage is expected to be delivered at the end of 2011. Through this cooperation PTDI will produce Tail Boom and Fuselage for EC725/EC225 Helicopters until 2020. The production phase will start with the production of tail boom, in January 2010 and will be continued with the production of fuselage in May 2010. The first Tail Boom is expected to be delivered in October 2010, while the first Fuselage is intended to be delivered in November 2011. 6 Tail Boom units will be delivered in 2011, followed by 10 units in 2012 and then 12 units per year (one unit per month) during the remaining years until 2020. Eurocopter chose PTDI as the main Supplier in the world for the airframe component on this family of helicopters. The work package will absorb no less than 50% of domestic share value from the manufacturing of elementary parts in more than 4000 parts and assembly of major component, in more than 500 sub-assemblies. Eurocopter is assisting PTDI during the early stage of the cooperation (non recurring-phase) in the following areas: product planning and tooling; qualification of special processes, jigs and production facilities; certification of key production staff ; procurement planning and supply-chain management. The assistance will enhance DI capabilities to produce airframe for the most advanced transport helicopters. 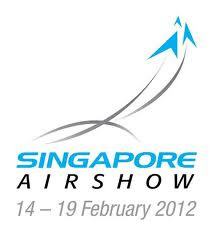 PTDI signed a cooperation agreement on Airframe production with Eurocopter in the end of 2008. The cooperation is a continuation of long history of cooperation between PTDI & Eurocopter which began in 1978, when PTDI (former IPTN) began assemble SA-330 “Puma” Helicopter, then continued in 1981 with the production of airframe for AS-332 “Super Puma” MK I.
Bandung, (ANTARA) - PT Dirgantara Indonesia (PTDI) akan menjadi pemasok utama komponen Airframe Helikopter EC-725 dan EC-225 yang merupakan produk mutakhir dari Eurocopter. 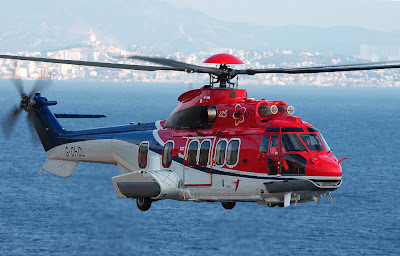 "Helikopter EC-725 dan EC-225 merupakan pengembangan dari versi NAS-332 atau Super Puma. Pengembangannya tidak boleh mengubah sistem dan daya angkut helikopter itu," kata Vice President Airframe Eurocopter, Andreas Stoeckle di sela-sela peresmian pembuatan Airframe Heli EC-725 dan EC-225 di Hanggar PTDI Kota Bandung, Rabu. PTDI berperan sebagai pemasok komponen tailboom (ekor) dan fuseluge (kabin) untuk helikopter terbaru dari Eurocopter itu. Tahapan produksi oleh PTDI dimulai dengan pembuatan ekor yang dimulai pada Januari 2010 dilanjutkan dengan kabin mulai Mei 2010. Ditargetkan ekor pertama harus diserahkan ke pabrikan Eurocopter pada Oktober 2010 sedangkkan produksi kabinnya harus diserahkan PTDI pada November 2011. Ia menyebutkan, pada tahun kedua atau Oktober 2011, PTDI harus menyerahkan 6 unit ekor atau 1 unit setiap dua bulan. Kemudian tahun ke-3, Oktober 2012 PTDI harus menyerahkan 10 unit ekor dan penyerahan berikutnya 12 unit per tahun atau satu unit setiap bulan selama empat tahun dan seterusnya. Airframe, kata Andreas merupakan struktur utama pesawat terbang baik pesawat bersayap tetap maupun helikopter. Dengan pembuatan dan penyerahan 125 unit komponen airframe, ekor dan kabin untuk Helikopter EC-725/ EC-225, perusahaan dirgantara internasional asal Eropa itu menjadikan PTDI sebagai pemasok utama komponen airframe berkelas dunia. "Paket ini bernilai lebih dari 50 persen dalam pembuatan 4.000 bagian dasar serta 500 pekerjaan sub-assembly untuk merakit komponen utama," kata Andreas Stoeckle. Sementara itu, Dirut PTDI Budi Santoso menargetkan perusahaan dirgantara nasional itu untuk menjadi pemasok utama komponen bagi perusahaan-perusahaan dirgantara dunia. "Kepercayaan dunia terhadap PTDI terus meningkat, dan ke depan PTDI siap jadi pemasok utama komponen pesawat-pesawat terbang di dunia," kata Budi Santoso menambahkan. Budi menyebutkan, pesawat EC-725 dan EC-225 akan menggantikan helikopter Super Puma yang diharapkan bisa digunakan juga di Indonesia. "Tiga Super Puma terakhir dibuat PTDI, dan ditargetkan tuntas pada 2010 ini dan bisa diserahkan ke Hankam sebagai pemesan," kata Dirut PTDI itu menambahkan. The failure of a generator aboard HMAS Farncomb is just the latest problem faced by its fleet of 6 Collins Class diesel-electric submarines – which are now reduced to just 1 operational vessel. That readiness issue presents an immediate financial headache for Australia’s government, and adds a longer-term challenge to the centerpiece of Australia’s future naval force. With just 6 submarines in its fleet, Australia’s current deployment set-up leaves little room for error. Even a normal setup of 2 in maintenance, 2 for training but available if needed, and 2 on operations makes for a thin line, given Australia’s long coastline and sea lanes. Instead, Australia currently has 3 submarines in “deep maintenance” and completely unavailable (HMAS Deschaineux, HMAS Sheean, and HMAS Rankin), 1 submarine back in port and facing indeterminate maintenance (HMAS Farncomb), 1 “limited availability” submarine fit for training (HMAS Collins), and 1 operational boat (HMAS Waller) that was in port for major battery repairs as recently as May 2009. A generator failure is a serious issue for a diesel-electric submarine. The generators must power all systems on board, from oxygen generation to combat electronics, and also drive the Collins Class’ 7,200 shp Jeumont-Schneider DC motor. Given the dangers inherent in a submarine’s mission, electrical redundancy, back-up capability, and reliability are all critical. There are fears that fixing HMAS Farncomb’s generator problem could require cutting open the pressurized hull. If that’s the case, repair costs would be high, and Farncomb would join 3 other boats in a long “deep maintenance cycle”. HMAS Deschaineux was due back in the water in early 2010. HMAS Sheean isn’t due back in service until 2011, and HMAS Rankin has no set date yet – it is merely “in queue” behind Sheean. While HMAS Collins has reportedly had its generators given a clean bill of health, investigation of the entire fleet’s generators is underway. If additional problems are discovered, the repair schedules for Deschaineux, Sheean, and Rankin become much less predictable. So, too, does the future success of Australia’s estimated A$ 36 billion future submarine program. One of the goals for the Collins Class program was to advance Australian shipbuilding capabilities, by creating state-owned ASC Pty Ltd. to build a foreign submarine design. ThyssenKrupp’s Swedish Kockums subsidiary was chosen to design them, based on the A19 Gotland Class. At 3,000t, their long-range design is the largest diesel-electric submarine type in the world. Launching a submarine building industry is very difficult, however, and using what amounts to a new design adds to that risk. The Collins Class has performed well in exercises with the US Navy, where it has scored successes against American Los Angeles Class nuclear-powered fast attack subs. On the other hand, it has also encountered a long-running sequence of issues, including significant difficulties with its (Australian chosen) combat systems, issues with acoustic signature due to mechanical faults, major program cost growth to A$ 6+ billion, and schedule slippage. The effects aren’t just mechanical, or financial. Crew retention issues are exacerbated by low mechanical readiness, which restricts training opportunities and so limits the available pool of crew. That forces higher deployment rates away from home and family among qualified submariners, which in turn feeds back into low recruitment and retention. Collins was launched in 1993, and delivered in 1996. Its successor boats of class were commissioned in 1998 (Farncomb), 1999 (Waller), 2001 (Deschaineux and Sheean), and 2003 (Rankin). The persistence of serious mechanical issues, and very low readiness rates, into 2010 and beyond, raises legitimate questions concerning the long-term risks of Australia’s 12-submarine plan for its future navy. Australia is a middle power with a small population, without a long submarine building tradition, and without an active submarine construction line. That it overcame these disadvantages to build and field the Collins Class is a respectable achievement, notwithstanding the problems that class as faced in service. At the same time, the strategic stakes in Asia are rising rapidly, and submarines are becoming more important as the country’s neighbors grow their economic and military power into the sea lanes around Australia. An expanded submarine force makes strong strategic sense as a key guarantor of Australian interests and sovereignty – but in some respects, any new program will be starting again from square one. Over a decade can be expected between the commissioning of HMAS Waller in 2003, and construction of any new submarines. Does repeating the Collins program’s industrial structure for the core of Australia’s future defense risk creating the same cost and readiness issues in the new submarines? If not, why not, especially given the long interval between delivery of HMAS Rankin and future construction of the next submarine type? What are the strategic risks of treating the core of Australia’s future defensive posture as a make work program first, and a defense program second? What savings might be had by simply ordering some or all of the proposed 12 boats from a foreign manufacturer? Should ASC become a wholly-owned subsidiary of whichever firm wins the competition to build Australia’s next 12 boats? Or should the 12-sub program just be scaled back sharply, as too big a risk for cost inflation and low value for money? Some of these questions are already being raised, by politicians and media editorials. Unless these readiness and technical issues can be turned around, Australia’s governments, of whatever party, should expect more questions. The successful signing of a radar simulator procurement contract between Beca Applied Technologies and the Royal New Zealand Air Force has been announced by the RNZAF Capability Directorate. The P-3K2 Orion radar trainer acquisition was endorsed by former Assistant Chief of Air Force Capability, Group Captain Tony Davies, and Beca Applied Technologies General Manager, Mr Thomas Hyde, at the recent Defence Industry Conference in Wellington. The radar trainer is designed to simulate the ELTA 2022 radar fitted to the P-3K2 Orion and will be used to prepare ab-initio radar operator students for whole-of-crew integration and flying training. The radar trainer design is based on a development of the P-3K Orion upgrade project training system, for which Beca Applied Technologies already provide support as an established long term partner. Assimilation with existing training resources will permit the radar trainer to operate using the same controls and displays as the aircraft, which is important for supporting efficient and high value training. 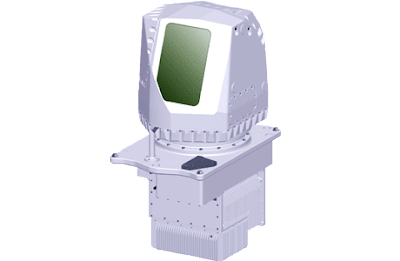 In addition to this, upgrades to the radar trainer can be easily harmonised with improvements made to the aircraft, which means the simulation has the potential to remain effective throughout the complete P-3K2 Orion operational life cycle. The radar trainer will consist of six student workstations and three controlling instructor operator stations, similar to the illustrated concept drawing. The design includes a comprehensive training scenario development capability for creating, managing and delivering realistic training exercises using a wide range of vehicles and environmental conditions. All key P-3K2 Orion radar functions and characteristics have been included in the radar trainer design specification, which supports the achievement of high training standards and effective preparation for operating the real radar in the air. The development of the radar trainer has been rapid since the contract signing, with the preliminary design review already successfully completed. Delivery to the P-3K2 Orion Training Design Team is scheduled for late 2010, when the radar trainer will be integrated into P-3K2 Orion Squadron transition and operational conversion training courses. MANILA, (Xinhua) -- The Philippine military on Monday commissioned six upgraded Armed Personnel Carriers which it said will boost its capability in fighting threat groups, particularly the leftist New People's Army. 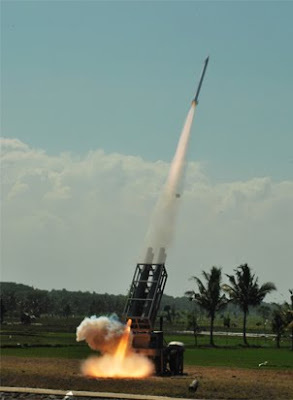 "The launching marks a step towards the military's efforts to upgrade its fleet of APCs. The new armored vehicles will play a key role in supporting the nation's Security Operations," said the military public affairs office chief Lt. Col. Romeo Brawner. The upgraded APCs, with a combat weight of 10.7 tons each and a 13-soldier seating capacity, have lesser maintenance cost and have extended life cycle that will enhance the military's operational performance. Brawner said President Gloria Macapagal-Arroyo approved the acquisition in 2003 after market analysis showed that it was cheaper to procure a complete unit rather than upgrade the current 20 vehicles in the country. Bangit said the six APCs will be deployed and tested in Masbate, which Philippine Defense Secretary Norberto Gonzales said may be the next flashpoint of violence after Maguindanao. More troops have been infused to Masbate due to almost daily killings. Bangit said these APCs will eventually see action against communist insurgents which President Arroyo wanted defeated on or before her term ends in June this year. When asked if the APCs will hasten the defeat of the NPAs, Bangit said: "Anything that is an added capability to the army or the armed forces will be a big boost to our desire to achieve our mission by 2010." PEMBELIAN 48 buah kereta kebal utama (MBT) PT-91M berserta sembilan kenderaan sokongan lain dari Poland pada 2003 telah mengubah landskap pertahanan negara khususnya bagi tentera darat. Perolehan aset tersebut turut memberi penggandaan kuasa dan meningkatkan kuasa tembak yang belum pernah dirasai oleh Kor Armor Diraja sebelum ini. Kereta kebal itu seterusnya dinamakan Pendekar, sesuai dengan peranannya sebagai mata dan hujung tombak ketumbukan tentera darat sama ada ketika melakukan operasi ofensif mahu pun semasa bertahan. Penggandaan kuasa itu lahir kerana Pendekar mempunyai kemampuan mobiliti, kuasa tembak dan perlindungan armor yang sesuai dengan persekitaran muka bumi negara. Paling menggerunkan, kuasa tembak daripada meriam Smoothbore 2A46MS berkaliber 125 milimeter buatan Slovakia dengan peningkatan ketepatan tembakan sehingga 23 peratus berbanding meriam asal. Ia mampu memusnahkan semua jenis kereta kebal yang ada di dunia pada hari ini sehingga jarak lima kilometer. Kemampuan itu sudah pasti menjadi igauan ngeri kepada pihak yang berniat untuk mengganggu-gugat kedaulatan negara. Apatah lagi, sistem kawalan tembakan PT-91M menggunakan teknologi Savan 15 FCS ciptaan Perancis yang turut dipakai oleh kereta kebal moden mereka, AMX-56 Leclerc. Gabungan teknologi Slovakia dan Perancis itu membolehkan meriam utama Pendekar memuntahkan sehingga 10 tembakan seminit bagi semua jenis peluru sama ada APFSDS, HEAT dan HE tanpa sebarang masalah - tidak kira ketika sedang bergerak laju atau dalam keadaan pegun. Kegagahan PT-91M bukan hanya terletak pada meriam utamanya tetapi turut disokong dengan sistem navigasi SIGMA 30 dan blok armor reaktif ERAWA-2 pada bahagian hadapan, bumbung dan sisi hadapan. Ia bertujuan mengurangkan impak hentaman daripada sistem peluru berpandu anti-armor dan juga perobek armor. Bagi tujuan meningkatkan daya pengesanan terhadap ancaman peluru musuh pula, Pendekar dilengkapkan dengan sistem penderia pancaran laser dan ia diintegrasikan pula dengan sistem grened asap. Sebelum perolehan PT-91M dibuat, tentera darat bergantung sepenuhnya pada kereta kebal ringan Scorpion yang dipasang dengan meriam Cockerill 90 milimeter dalam melatih dan merangka doktrin peperangan kereta kebal yang sesuai. Walaupun digelar sebuah kereta kebal ringan, prestasi mobiliti, kuasa tembak dan perlindungan Scorpion jauh ketinggalan berbanding Pendekar PT-91M. Kini semua Pendekar PT-91M sudah diterima oleh Rejimen 11, Kor Armor Diraja yang berpangkalan di Kem Syed Sirajuddin, Gemas, Negeri Sembilan. British dianggap sebagai negara pertama yang mencipta dan menggunakan kereta kebal iaitu pada Perang Dunia Pertama. Tetapi pada era tersebut, kereta kebal tidak mempunyai turet. Konsep turet buat pertama kali diperkenalkan oleh Perancis melalui kereta kebal jenis FT-17 pada tahun 1917. Penggunaan kereta kebal pada masa itu hanya terhad bagi tujuan merempuh halangan seperti kawad berduri dan sistem perparitan bagi membuka jalan kepada pasukan infantri untuk menyerang dan menguasai pertahanan musuh. Bagaimanapun, doktrin dan taktik penggunaan kereta kebal di medan tempur moden mula diperkenalkan oleh Jerman melalui taktik blitzkrieg (serangan kilat). Taktik ini menyaksikan Jerman mengoperasikan ketumbukan kereta kebal secara bersepadu dengan unit artileri dan infantri bagi membolosi sistem pertahanan musuh. Taktik serangan itu ternyata berjaya menghalang bekalan logistik, memutus sistem komunikasi menyebabkan sistem arahan dan kawalan berada dalam keadaan kucar kacir. Pada era pasca Perang Dunia Kedua dan perang dingin pula menyaksikan teknologi pembuatan kereta kebal, sistem persenjataan terus berkembang. Ketika itu ia lebih tertumpu terhadap usaha mempertingkatkan sistem sedia ada termasuklah daripada segi penjanaan kuasa, jenis dan kaliber meriam utama serta pelbagai jenis penderia elektro-optik bagi membolehkan ia beroperasi siang dan malam. Sementara itu, dalam konteks Malaysia, penggunaan kereta kebal di negara ini bermula pada 1957 ketika Jepun melancarkan kemaraan untuk menakluk Malaya. Ketika itu ramai pemikir ketenteraan berpendapat kereta kebal tidak sesuai diatur gerak di negara ini memandangkan keadaan tanah yang lembut. Walaupun kurang mendapat liputan, pengoperasi kereta kebal di negara ini mempunyai signifikan tersendiri kerana setiap kemaraan tentera Jepun, didahului oleh unit kereta kebal mereka terlebih dahulu bagi mengasak pertahanan British. Sebenarnya pada peringkat awal perolehan Pendekar, ramai pemerhati ketenteraan termasuk bekas anggota Angkatan Tentera Malaysia (ATM) yang mempertikaikan keputusan kerajaan. Mereka menyifatkan PT-91M yang merupakan kesinambungan kereta kebal T-72 yang mudah 'diratah' oleh kereta kebal moden lain. Pandangan-pandangan serong itu dibuat dengan mengambil contoh Perang Teluk 1991, Operasi Desert Storm serta Perang Chechen-Rusia yang menyaksikan ratusan kereta kebal T-72 menjadi mangsa tembakan daripada MBT seperti M1A1 Abrams dan Challenger 2 selain peluru anti kereta kebal dan RPG-7. Namun, menggunakan persekitaran perang di Iraq dan Chechen bagi membandingkan kemampuan PT-91M dan T-72, ia adalah sesuatu yang tidak adil memandangkan persekitaran dan bentuk muka bumi negara berbeza dengan negara tersebut. Di Iraq, Tentera Bersekutu yang diketuai Amerika Syarikat (AS) mudah meratah unit armor Saddam Hussien kerana mereka telah menguasai sepenuhnya ruang udara Iraq dan ditambah lagi dengan versi T-72 yang dikeluarkan secara berlesen dengan nama Asad Babil tidak secanggih T-72 asal. Manakala di Chechen pula, kemusnahan yang menimpa unit armor Rusia adalah disebabkan kesilapan taktik ekoran sikap terlalu yakin sehingga komander Rusia mengarahkan serbuan dibuat di kawasan perbandaran tanpa perlindungan daripada unit udara. Akibatnya berpuluh-puluh kereta kebal dan perisai Rusia musnah dalam masa sehari selepas diserang hendap oleh pejuang Chechen dengan menggunakan senjata utama RPG-7. Bagaimanapun bagi tentera darat, perolehan kereta kebal dibuat setelah kajian teliti dilakukan daripada pelbagai aspek. Salah satu aspek kritikal yang diberi perhatian ialah bentuk muka bumi negara yang diliputi oleh pokok, baik yang diusahakan sebagai ladang komersial mahupun hutan semula jadi. Bagi kawasan yang mempunyai banyak hutan, pokok dan belukar seperti di negara ini, penggunaan kereta kebal juga tertakluk pada persekitaran muka buminya. Aplikasi penggunaan kereta kebal secara besar-besaran seperti yang dilakukan AS semasa menakluk Iraq tidak dapat dilakukan dengan sewenang-wenangnya di negara ini. 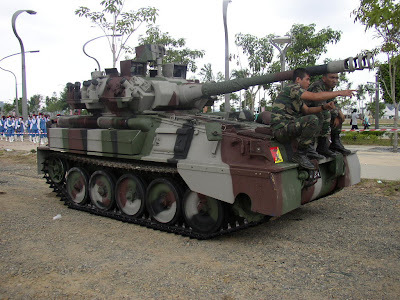 Malah Pendekar yang diperoleh tentera darat berbeza dengan versi asal PT-91A milik Poland kerana ia telah melalui transformasi intensif sehingga menjadikan ia setanding dengan kereta kebal 2A4 Leopard yang dimiliki oleh Singapura. Perang Iraq, Chechen dan Lebanon merupakan pengajaran terpenting bagi tentera darat dalam menggubal doktrin yang berbentuk cairan atau fleksibel agar ia memberi kelebihan secara optimum kepada PT-91M sekiranya tercetus perang dengan negara luar. Bagi tujuan itu, fokus tentera darat kini tertumpu pada usaha menggemblengkan pelbagai aset dan platform yang telah diperoleh agar ia dapat disepadukan menjadi satu angkatan yang berkemampuan dalam usahanya mempertahankan kedaulatan negara. 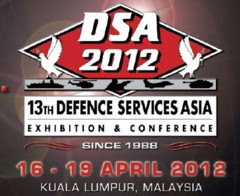 Hasrat itu lebih mudah apabila tentera darat kini telah mempunyai Pasukan Udara Tentera Darat (PUTD) yang mengoperasikan pesawat Agusta LUH-109 bagi tujuan peninjauan dan penyerang ringan. Ia penting bagi memberi pendedahan awal kepada PUTD mengenai operasi bersama unit armor sebagai satu ketumbukan, sementara menanti perolehan helikopter penyerang yang sejati. Kesepaduan antara unit armor dan pasukan sokongan udara penting bagi memberi perlindungan kepada pasukan kereta kebal daripada ancaman MBT, pasukan artileri dan anti armor musuh. Pada masa yang sama juga, Kor Armor Diraja akan sentiasa seiringan dengan pasukan mekanise dan infantri dalam setiap operasi yang dilancarkan bagi memberi elemen sokongan kepada pasukan MBT.